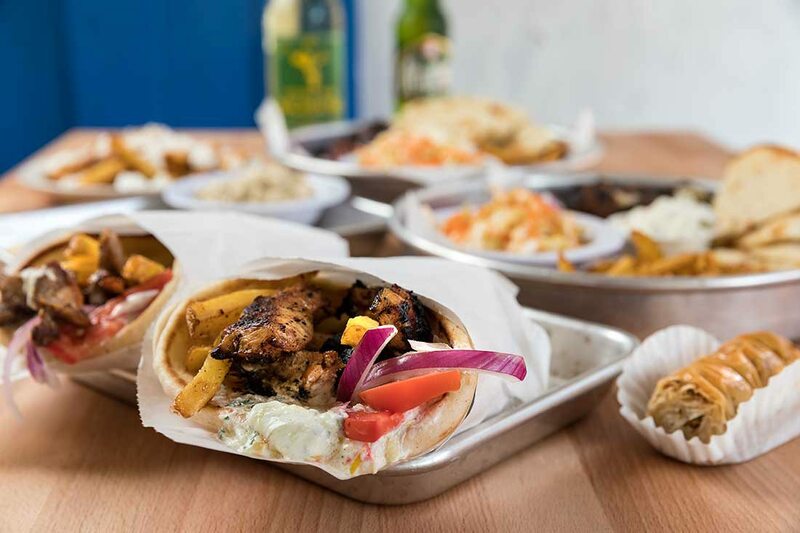 Downtown Springfield’s much awaited Mediterranean restaurant, Greek Belly, offers a carefree and casual dining experience. Nothing makes me feel more luxurious than when I enjoy a leisurely lunch away from the office. There’s just something about getting out of my usual weekday lunchtime routine (leftovers on a good day or PB&J when I’ve yet to visit the grocery) that hits the spot. Perhaps my bar is a little low, but finding joy in the little things has served me well. Like many 417-landers, when I heard a new Greek restaurant was coming to downtown Springfield, I began counting down the days. It was a painful wait as Greek Belly’s opening day inched from this past October to this spring to July. Luckily, I had my first taste before the restaurant opened at Taste of SoMo this June. I’m not a meat-and-potatoes kind of woman usually, but I couldn’t resist trying the souvlaki stick (they offer a veggie option at the restaurant). Although I was intending to share, I promptly inhaled the juicy pork. My excitement to dig into the full menu only grew. So, less than a week after Greek Belly’s opening, I rounded up my department for a team lunch. When we arrived, lunch rush was in full swing, but despite the bustle, I could feel myself start to revel in this mini-holiday of sorts. The restaurant is casual with tons of Greek flair, including bright white walls, blue accents and background music. I felt like we could have been on the set of My Big Fat Greek Wedding. After we placed our orders at the counter, we settled at a table near the front. Before too long, owner John Tsahiridis, who grew up in Greece, dropped off our meals. 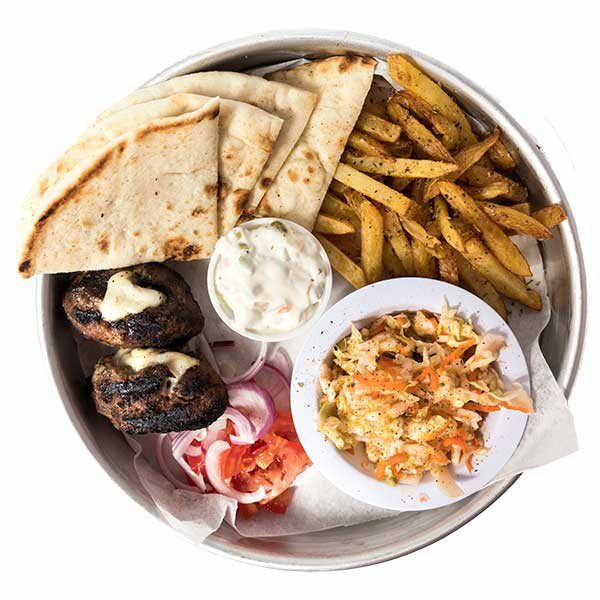 The Loukaniko platter comes with fries and a spicy feta dip. 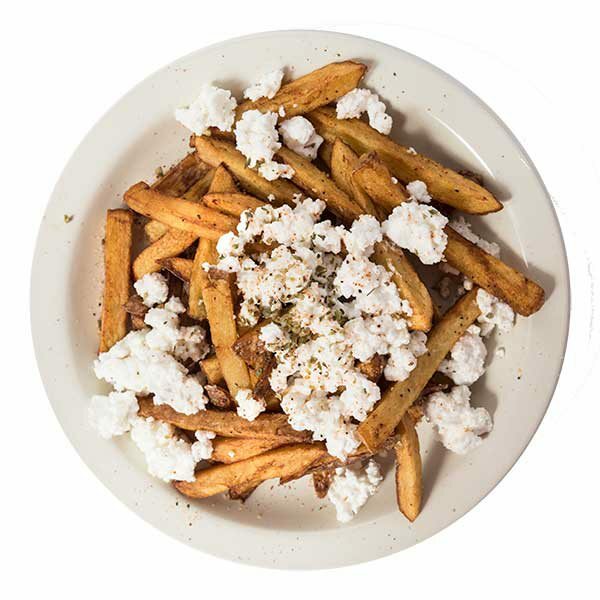 We all shared the patata tiri, and I discovered these deep golden brown hand-cut fries topped with fresh feta were more to my liking as a side dish than in my wrap. If you’re wanting the flavor profile of a Chicago-style gyro, try the Beefteki, a cheese stuffed beef patty served with a veggie-mayo dip. Tsahiridis wanted to bring authentic Mediterranean food to Springfield, and, through Greek Belly, he has. 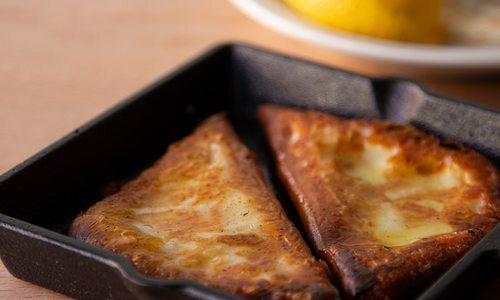 The menu includes familiar classics such as gyros made the traditional way with pork or chicken, falafel, hummus and spanakopita as well as more unfamiliar dishes such as loukaniko, an orange-spiced pork sausage, and tirokafteri, a spicy feta dip. 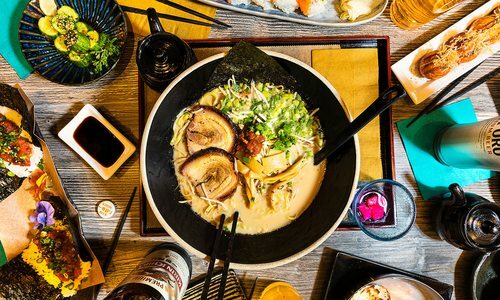 The grilled items—made from fresh, never frozen meats—are served as small plates, sandwiches or platters, and the menu also includes salads and desserts. What isn’t made in-house is sourced from authentic vendors. Not every menu item was available when we went, but most of what we tried was delicious. Along with a few others, I ordered a gyro that was served with tzatziki, tomato, onion and fries all wrapped in a fluffy pita. As someone who is used to the Americanized version of the dish featuring lamb, it didn’t satisfy my hankering quite like I hoped. If you’re wanting the flavor profile of a Chicago-style gyro, try the Beefteki, a cheese stuffed beef patty served with a veggie-mayo dip. I especially liked the loukaniko, which had heavy notes of clove balanced out by the citrus, and the melitzanosalata, a roasted eggplant dip with just the right amount of parsley to brighten the flavor. 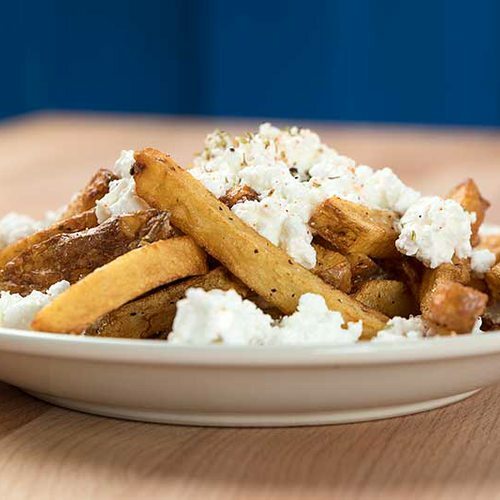 We all shared the patata tiri, and I discovered these deep golden brown hand-cut fries topped with fresh feta were more to my liking as a side dish than in my wrap. Wanting to extend the afternoon outing a little more, I ordered the saragli at the end of our meal. The two small rolls of baklava were flaky, cinnamon-y, perfectly sweet and gone in no time. Imbibe some classic Greek spirits including beer, wine, ouzo and Metaxa, a brandy-like liquor, all imported from the mainland. Most every menu item goes by its Greek name. Not sure how to pronounce something? Just look for the phonetic spellings on the menu and order with confidence. 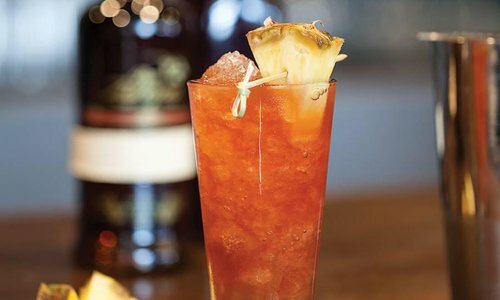 Say it with us: yee-ro. If you’re kiddo isn’t up for more adventurous eating, order from the Mini Spartans kids menu. All meals are served with fries, chips or veggies. 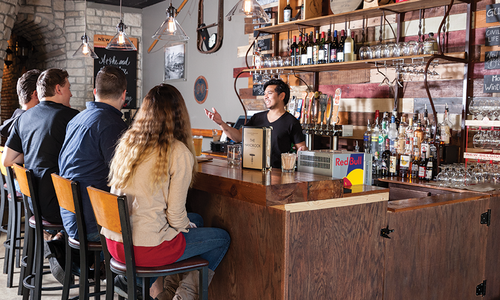 Owner John Tsahiridis has 27 years of experience in the food industry and most recently served as general manager at Galloway Station Bar & Grill. Greek Belly is the first restaurant he has owned. 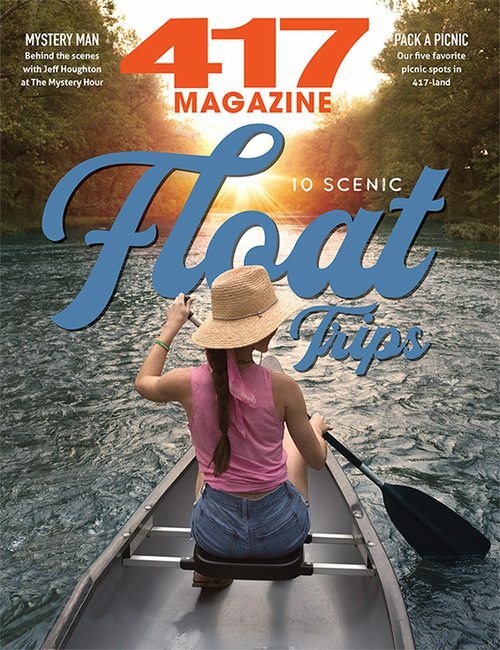 417 Magazine: Why this concept? John Tsahiridis: I’ve always wanted to open my own restaurant, and over time, I decided I wanted to do something that’s true to my heritage and how I was brought up. I wanted to have something that’s true to what Greece is. I didn’t want to settle for anything less. 417: What inspired the menu? J.T. : A lot of the stuff is stuff that I grew up eating. It’s a combination of that, my personal opinion of what Greece is and what I think people would actually like around this area. Greek food is pretty diverse. I try to keep my menu small because there are some things I’m going to be doing—featured items and seasonal things—according to traditions in Greece. 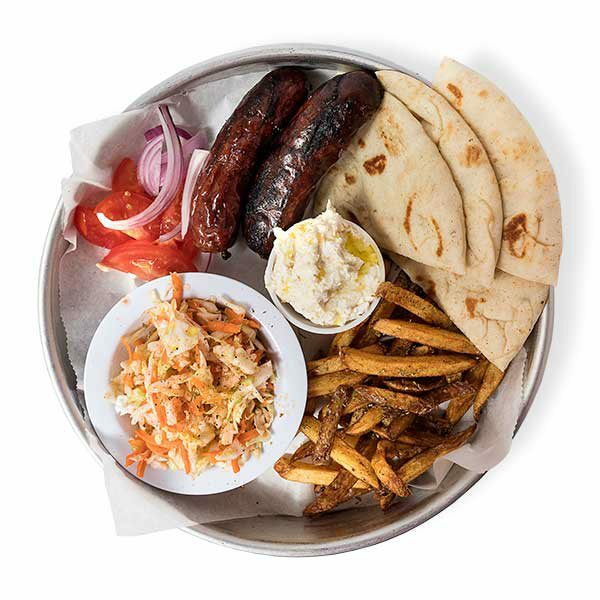 417: What misconceptions might diners have about traditional Greek gyros? J.T. : Most people are used to Chicago gyros, which actually got invented in Chicago in the late ’60s, and it’s the beef [or] lamb, ground, minced stuff. We have fries in [our gyros], and that’s exactly how they do it in Greece. They actually put a little ketchup and mustard in there, too. 417: Tell us about the future plans you have for Greek Belly. J.T. : Eventually, I’m going to do catering and some wholesale things for people to buy bulk, like the dips. I’m planning to get an online ordering [app] for pickups. Editor's note: Customers can now place online carryout orders at greekbelly.com. Another option for eats, drinks and patio dining on Park Central Square is serving up everything from brunch to late-night fare.